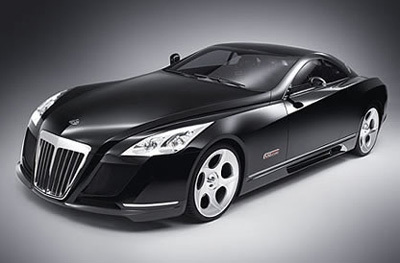 Predominantly known for luxury, Maybach branched into supercar territory with the Maybach Exelero. The Exelero was an imposing mix of batmobile, hearse and pure evil. The Maybach Exelero uses a 700-hp, V-12, twin turbo engine sourced from the Maybach 57 S. The two-seater is a unique custom model manufactured for tyre manufacturer Fulda, who are using the Maybach Exelero as a reference vehicle for a newly developed generation of wide tyres. Fulda has a history of building high speed concept cars with which to test and market their tyres, the Exelero being the latest.